Here We Grow. Tweeting on cool stuff happening at our portfolio companies. If you want help building a viable Twitter strategy for you and your investments, please email cross@gocross.com also representing Evan Kirstel. “VC’s are making key strategic investments in innovative seed, growth and late stage companies. Since Google searches Twitter immediately – promoting them via Twitter can help them succeed.” – Evan Kirstel. From Jack Dorsey – “When a leader, CEO or someone in a leadership position takes to the platform they have the opportunity to humanize their organization, make it feel smaller and relatable to people.” CEO’s and companies are measured by many factors with social media presence rising to the top of the list. Top Twitter CEO is Elon Musk with 22.7 million followers as well as the CEO with the most gains of 1.1 million new followers over the past three months as well as certainly the most engaged CEO with 3-Star rating. The second fasting growing CEO on Twitter is Sundar Pichai of Google with 2.0 million followers up 160K followers. In today’s business-political-social world, you are measured by many factors including the number of Twitter followers you have. In fact, many surveys have found that websites in general are perceived as passive customer communication tools with Twitter being a far more proactive customer-engaging tool. These surveys have also found an increasing number of customers go to your Twitter account before they go to your website doing “due diligence” on you looking for call-to-actions, thought leadership and content useful in their purchasing as well as customer complaints regarding your solution. Your client may not have a Twitter business account, but they may have a personal account and their advisors may as well. You can also see how in some small way John Legere’s Twitter efforts have also impacted the price of the stock. The purpose of this Venture Capital Scoreboard is not just about venture capital firms and Twitter profiles who list themselves as VC investors and accelerators, it is to recognize that social media presence really matters. That is, the firm or person who has the highest number of followers is not the only measure of the VC’s social presence but certainly a viable one. Like any other factor, Twitter postings reflect the company or person’s views of the world, their investments, views, goals and achievements. Click here (or email cross@gocross.com) to get listed, corrections, additions, and Twitter help. We apologize for omissions or errors. Note: Number of Followers can change dramatically as this will be updated monthly. We did not list companies who are not active in 2018. Please suggest any missing names. Note: Twitter accounts are based on Twitter, Google and other searches and may not be the only Twitter account used not by the companies nor individuals of the companies they run nor reflect any changes at the companies mentioned. 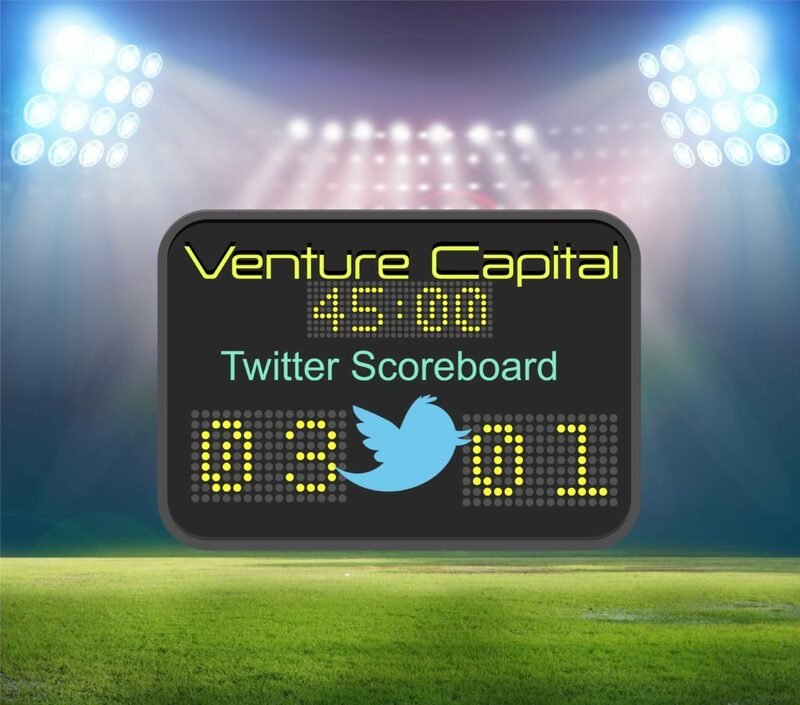 The Venture Tech Scoreboard is designed to give you a benchmark of your Twitter performance as you can’t force people to Follow you and according to an increasing number of sources – customers visit your Twitter before they go to your website. Gaining “meaningful followers” is a voluntary one, it is a good measure of “good will” you have in the marketplace you serve. If you have problems with the links, please email cross@gocross.com to get them emailed to you. If you are still not convinced of the importance of Twitter for your business, click here for article on Top-10 reasons for using Twitter for your business.